Free Bet issued matches first settled bet on Sports. Claim your Free Bet up to £25 today! NetBet is offering you a matched Free Bet on your first settled bet on Sport. Find a daily selection of specially prepared bets, boasting the best odds in the market! 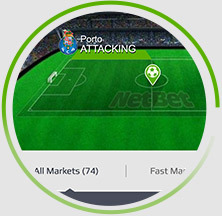 Just click our NetBet boost page to see what our experts have lined up for you. 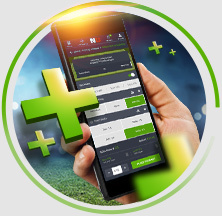 The SnapBet Feature will allow you to bet on a goal scored in the next 30 seconds, 1 minute, 5 minutes or 10 minutes of live soccer. 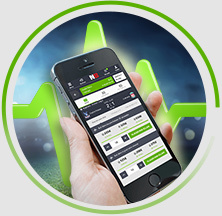 Live betting like you’ve never experienced before... 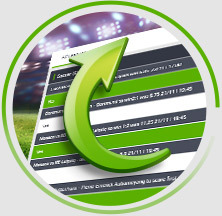 Modify your open bets by adding selections to maximise your winnings! 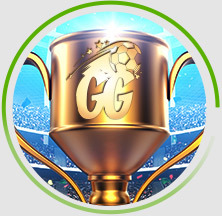 Win more than £30,000 by playing one of our three exciting Golden Goal grids! Bet Maker is a powerful personalisation tool that allows players to include previously unavailable same-event selections in an accumulator. 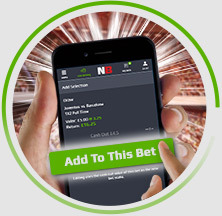 NetBet is offering you a Matched Free Bet up to £25 on your first settled bet on Sport. Deposit and place a bet at minimum odds of 1/2 on Sport. Receive a matched Free Bet up to the value of £25! Receive your matched Free Bet up to £25 today! Only New Customers from the United Kingdom who have never held a previous account with NetBet are eligible for this offer. The Free Bet token is valid for 7 days and can be used on any sport of your choice at minimum odds 1/5 or above. The Free Bet token can be used on single bets or accumulator bets. Deposit methods NETELLER, Paypal and Skrill are not eligible for this promotion.